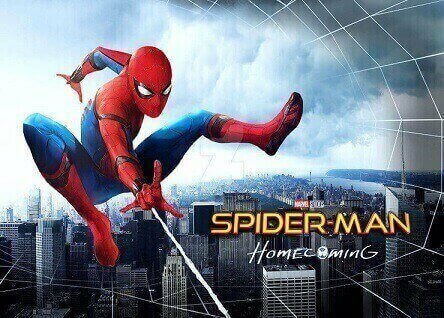 Home / entertainment / Spider-Man Homecoming: Our Favourite Web Slinger is back with the true friendly neighbourhood spirit. Spider-Man Homecoming: Our Favourite Web Slinger is back with the true friendly neighbourhood spirit. So I'm pretty sure all you fans must know the Spider-Man origin story by now, therefore it's safe to consider that it doesn't need to be shown all over again and that's what this new Spider-Man movie does. It thankfully spares the audiences to relive Uncle Ben's dying moments all over again and get mushy about it. Marvel has been consistently hitting the sweet spot with the audience over the years, so does the new Marvel movie follow the same tradition? The answer is YES. This movie is a triumph in every way. It works on so many levels including the incredible casting and great direction. The movie, however, does not have those WOW moments a lot which Marvel fans are accustomed to. However, it has that grip on the audiences and each scene creates curiosity for the following ones. It certainly shows the struggles of Peter Parker as a normal high school kid and the problems he faces as a normal teenager but also focuses a great deal over the whining and desperate Spider "boy" who wants to become Spider-Man by entering the big league and join the Avengers. Tom Holland has done a fantastic job as both Peter Parker and Spiderman. Robert Downey Jr. has made the character of Iron Man magical. Michael Keaton, however, steals the show with his badass performance as Spidey's nemesis in the movie as Vulture and proves to be a formidable opponent. Zendaya as Michelle is good too. Overall this movie has all the elements which make it a great fun movie to watch this week for everyone.